It was a bit cold today. The day was overcast and then it rained in the afternoon, which made me want to take a nap. I was at work, so that wasn’t possible. Instead, I settled for a warm coffee. If you’ve been following me for a while you might remember that I rarely if at all drink coffee, usually only when its really cold and usually when my family is all sitting around the table talking and enjoying pastries. Though I recently started to drink iced coffee and I’ve been enjoying it a lot. I usually stop and grab it from a local shop, but on those days when I don’t have time I go for the dark Columbian coffee that is made at the office. I just add some ice and then drown it with hazelnut or french vanilla creamer. I skipped the ice today and it still tasted good, though I much prefer it iced. Showcasing some home decor from both Salem and Blueprint. Have a great start to the weekend! Hope you enjoy this space that I put together! Hello everyone! To say the least it’s been a little crazy in both of my worlds and the reason for my being away from blogging the last days. 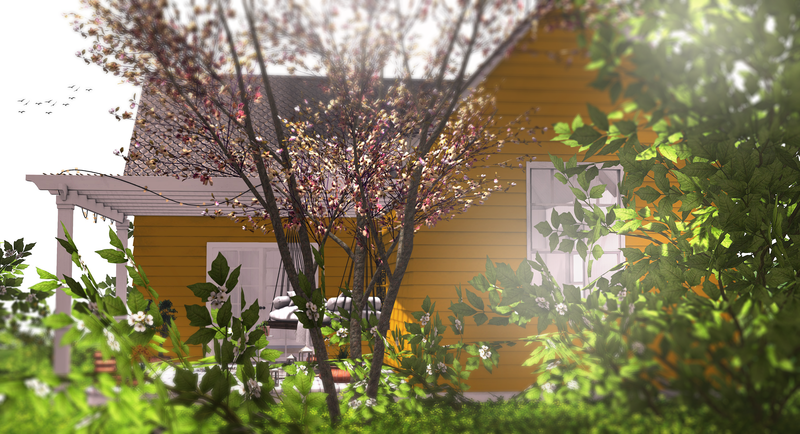 I have some exciting changes in the works that I will share soon enough, but for today I’m happy to showcase some awesome home and garden with you. 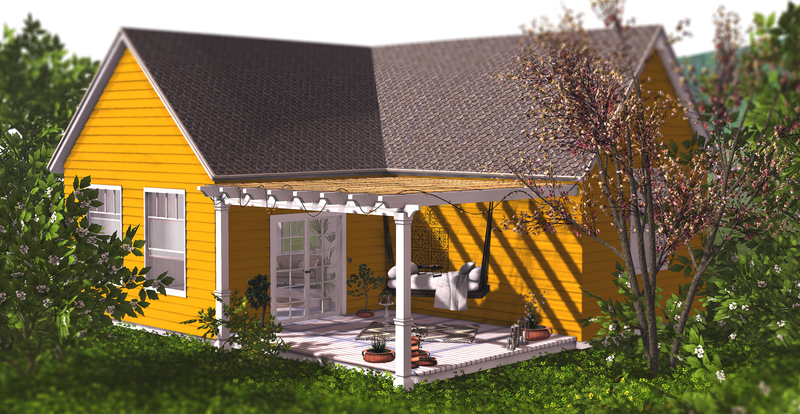 This delightful cottage is the newest release by DaD-Virtual Living- available at Uber. If you don’t like yellow, no worries. It comes with 74 pre-loaded colors to choose from. 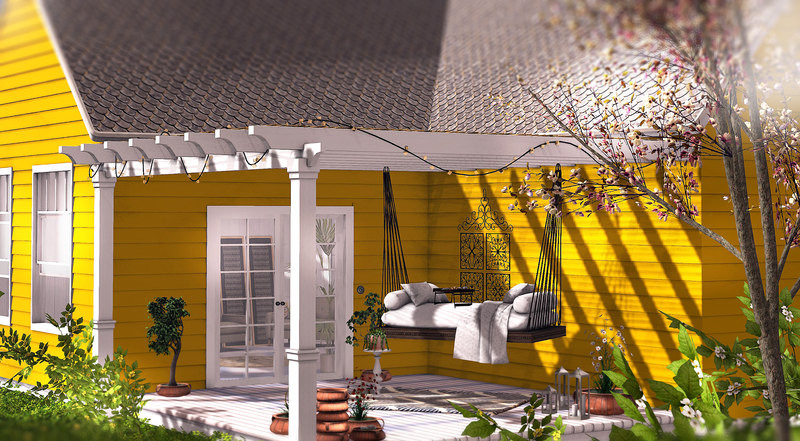 I’m also showcasing Lia Hanging Bed Set by MudHoney that is in this current round of Deco(c)rate. It’s also the last round and so you need to make sure to grab all existing crates by the end of today as they will no longer be available. I would suggest you visit the Deco(c)rate website for more information. 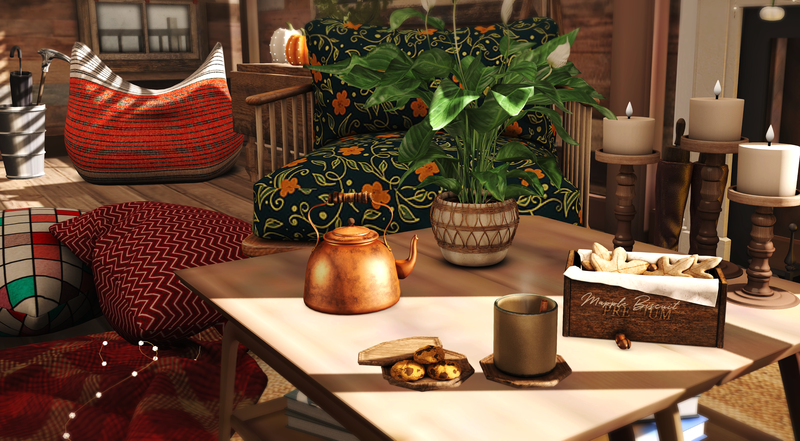 The scroll work is a decor piece in the set by Krescendo for Deco(c)rate. The terracotta pots are by Mesh India and wonderful in and outdoors. Grab them at the main store. 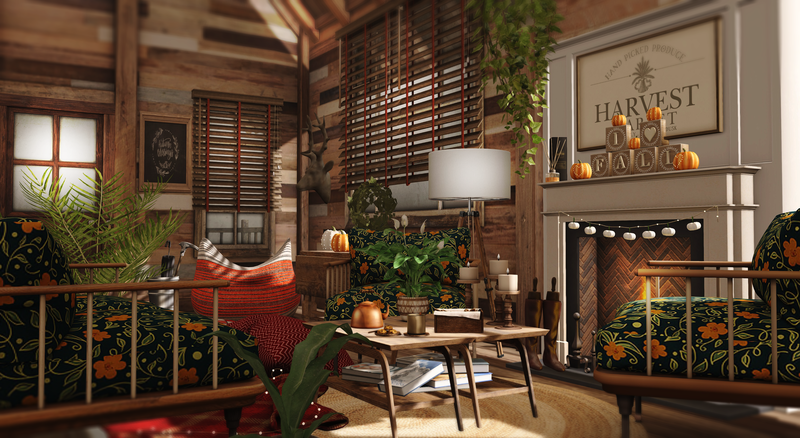 There is never enough credit given to what makes our Second Life even more beautiful and that’s the trees, plants and flowers that make these beautiful communities in Second Life we get to work, play and live in. The spring blossom tree is by Little Branch and the flowering bushes are from Heart. Two fantastic providers of landscaping products and I’m so thrilled to be able to feature their work. [Kuva] Set by Ariskea @ FaMESHed Go!